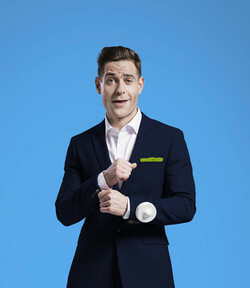 Back Simon Brodkin announced as FIRM Awards Host! Named “the world’s most famous blagger” by The Daily Telegraph, acclaimed character comedian Simon Brodkin is best known as irrepressible South London wide boy Lee Nelson. With five sell-out shows to his name, Lee Nelson’s latest national tour Serious Joker has been twice extended due to popular demand.